Beat the crowds and the heat of summer on this early morning tour of 2 Catacombs of Rome and Bone Chapels. 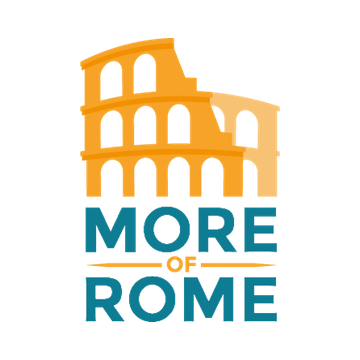 Visit 3 fascinating sites of Rome with an expert guide in a small group (15 people maximum) before the crowds descend into the streets of Rome. 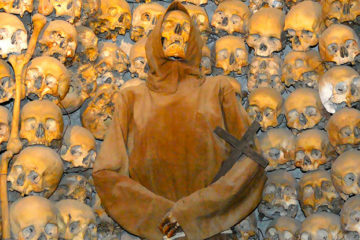 Explore underground of Rome and some of the most unusual places like ancient catacombs of Domitilla and Callixtus as well as the Capuchin Crypts (The Bone Chapel). This tour requires minimum amount of walking as you are driven to and from the venues on an air-conditioned coach. With us you will have the right to take photos inside the Catacombs of Saint Domitilla, and bring home something more than just a memory. 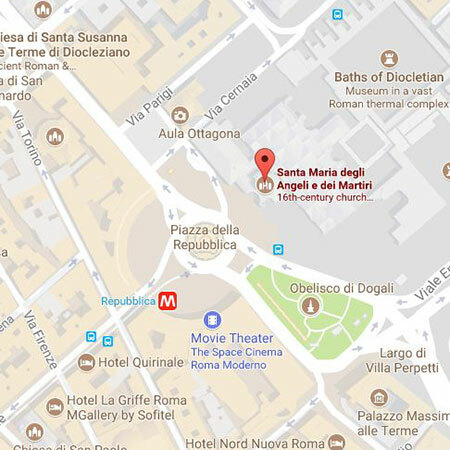 Meet your guideat 8:45am, at Piazza della Repubblica, the central location near Roma Termini and Boscolo Hotel Rome. After a quick check-in you will join your small group and embark on this unique tour. We offer skip the line to all 3 venues on the itinerary. 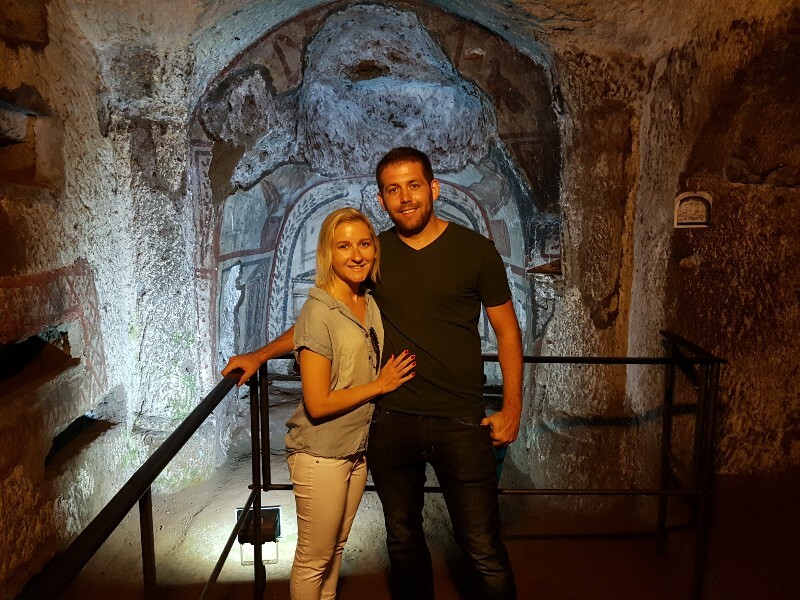 We begin with a 30-minute ride to the countryside of Rome to visit the catacombs located along side the Appian Way, the most ancient paved road in the world. You will head underground to explore two ancient burial complexes containing relics of martyrs, saints and early Popes as well as the most ancient Christian frescoes and sacred works of art in the western world. You will spend 2 hours (approx) in the Roman countryside visiting the Catacombs after which you will head back to the very heart of Rome to visit one of the most macabre, yet fascinating places of Rome; The Bone Chapels. 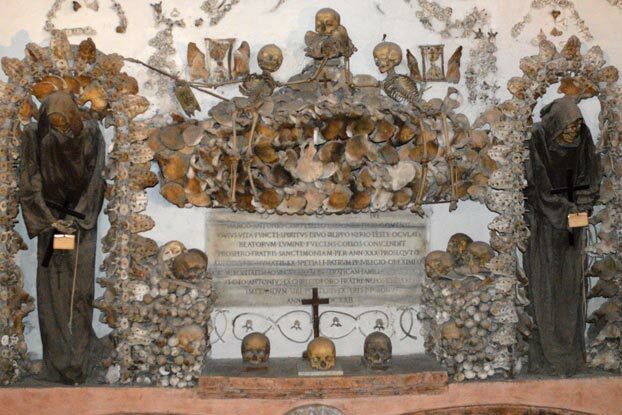 These are the Capuchin Crypts decorated with the bones of the monks. Listen to your guide as you walk the corridor of this sobering place and learn the meaning of the symbols made up entirely of human remains. Your expert English-speaking guide will show you the most important highlights at all three venues, you’ll be able to take plenty of photos at the Catacombs of Santa Domitilla, as well as skip the line and enjoy the ride on board of an air-conditioned bus. We have taken several tours in Rome, but never had such a personal experience. The guide went above and beyond to make it the most memorable experience of our entire trip. Great energy and enthusiasm! Very interesting experience, highly recommend to anyone who wants to explore the “basement” of Rome. Our teenage kids loved it and that says a lot! Sara was excellent, very easy to understand and passionate. Outstanding! We spent three and a half hours in a great company of our wonderful guide. The passion and the knowledge, and the way he ran the tour were outstanding. The group was small, as advertised on the website, the coach new and clean. Great experience! This tour was absolutely SPECTACULAR! The guide did an amazing job from start to finish. We started early and were first at the Catacombs followed by huge groups of students and pilgrims. Our guide Dimitri was extremely knowledgeable and well prepared to handle the group and the crowds. Early morning is a perfect time slot to see these venues. Very interesting tour, I especially loved the crypt of Popes in the catacombs of Callisto. Meeting point is a stone’s throw from Termini, very convenient. Such a great tour! Our guide was enthusiastic and really knowledgeable. We picked morning option because we know that in the afternoon the city and the venues become too crowded. We were right, it was almost like a private tour. Absolutely wonderful. Our flight was later that evening and the timing of the tour was just right. Very unusual, but memorable tour. We loved the catacombs and especially san clemente basilica. Morning tour of the catacombs was a great option, we skipped all lines as promised, and beat the crowds. Great tour!